Welcome to our second (hopefully) regular off day farm treat. I had plans to make this another Fisher Cat game thread but later realized that the Fisher Cats and Jays both have scheduled off days today. So we will use this thread to discuss all levels of the Jays farm system. 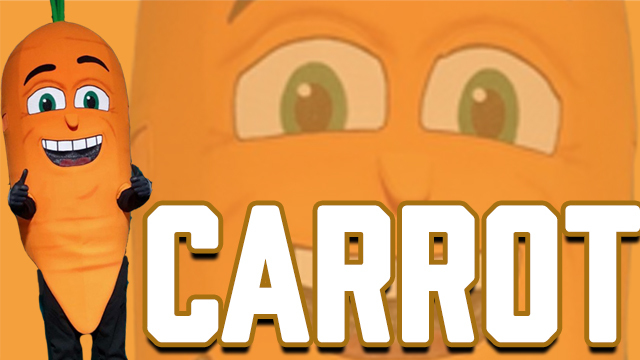 Below I have compiled a very basic introductory to the various Jays affiliates and have highlighted some key prospects that we are keeping tabs on. There are many other players and prospects to watch, but I wanted to keep this post a reasonable length so I only highlighted the big names. All stats are as of end of day Wednesday April 11th. The Lugnuts are certainly a lot less flashy this year compared to last year when Bo and Vlad spent the entire season with them. I haven't been following them as much so far this year but there are a few top prospects for the Jays playing for them and I will keep an eye on them. One player to note is Yennsy Diaz. In 2 starts he has an ERA of 0.76 and WHIP of 0.51! There are some exciting players to keep an eye on in Dunedin this year. 2016 1st round pick T.J Zeuch along with both 2017 first round picks (Warmoth and Pearson) have started the Season in A+. Alford is making a few rehab starts in Dunedin after getting injured in Spring Training so I put him here. He is picking up where he left off and is hitting .400 in 2 games. I imagine he will join the Bisons shortly, but I would love to see him finally get a chance with the Jays. Nate Pearson had a small setback during the opening week and hasn't played yet. hopefully he will be back soon as I am really looking forward to seeing what he can do this year. By far the most exciting of the Jays minor league teams this year are the New Hampshire Fisher Cats. 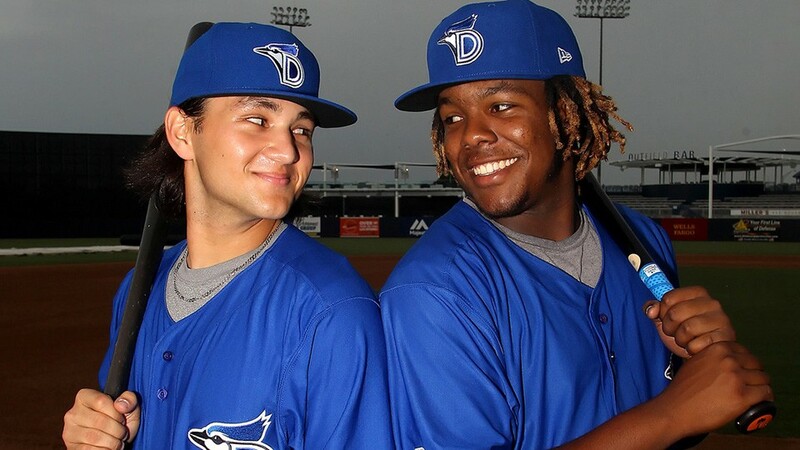 Top Jays prospects Bo Bichette and Vladimir Guerrero Jr. have started the season here, but I have little doubt they will be in Buffalo mid summer. The boys have continued where they left off last season helping the Fisher Cats to a 6-1 record to start the season. Gurriel Jr. and Biggio have also been on fire this year, with stats that rival or surpass Bo/Vlad in some cases. Even more exciting about the Fisher Cats so far is that some of the Jays top pitching prospects have been lights out. Although only pitching once (twice for Romano) so far this season, Harris, SRF and Romano are all undefeated with a combined ERA of 1.10 and 26 strikeouts. Romano has really impressed in his 2 starts with a 13K and only 1BB. If these guys can keep this up, the future of the Blue Jays may be even brighter than we thought. I picked up MiLB.tv this season for $25 and have been switching over between Jays and Fisher Cats and aside from the horrible AA TV feed it is pretty fun to watch. The Bison's season opener was delayed 3 days after their entire opening series was snowed out, so the team has only played 3 games and stats are limited. With the delay to the start of the season, Biagini has only made one start but it was beauty. He allowed only one run (unearned) on 2 hits in 5 innings of work in a Bison's win in their season opener. Barring any injuries to our starting staff early in the season, I personally would like to see Biagini recalled as a long man in the BP to help protect those precious leads from Uncle Loup and Aunt Barnes Extreme Elimination Challenge. Borucki has also only had one start but it looks like it was a decent one. There are a lot of interesting position player prospects starting in AAA this season and I would assume a few will be called up this season at some point. Teoscar who had an amazing September and followed it up with an amazing spring is off to a slow start with 7K in his first 15 AB. He does however have 1 HR and the sample size of 3 games is pretty small. Tellez, who had a rough year last year both on and off the field is off to a slow start with only 1 hit in the first 3 games. This is a big year for Tellez and given his history of success in the minors I expect him to bounce back. The most exciting player so far in AAA is top catching prospect Danny Jansen. He is hitting .545 with 1HR and 2RBI in limited AB. Maybe he can keep this up and we can replace Maile in the future. (I am sorry MK). Reece on the other hand is off to Grichuk-like start with zero hits and 6 strikeouts in 8 AB. Do you think Vlad and/or Bo will be called up this year if we are in the playoff race come August? Who are your sleeper prospects that no one is talking about?